Thundershirt is a safe and gentle way to calm your furry friends anxiety of loud noises including fireworks, thunderstorms, large crowds, and many more. 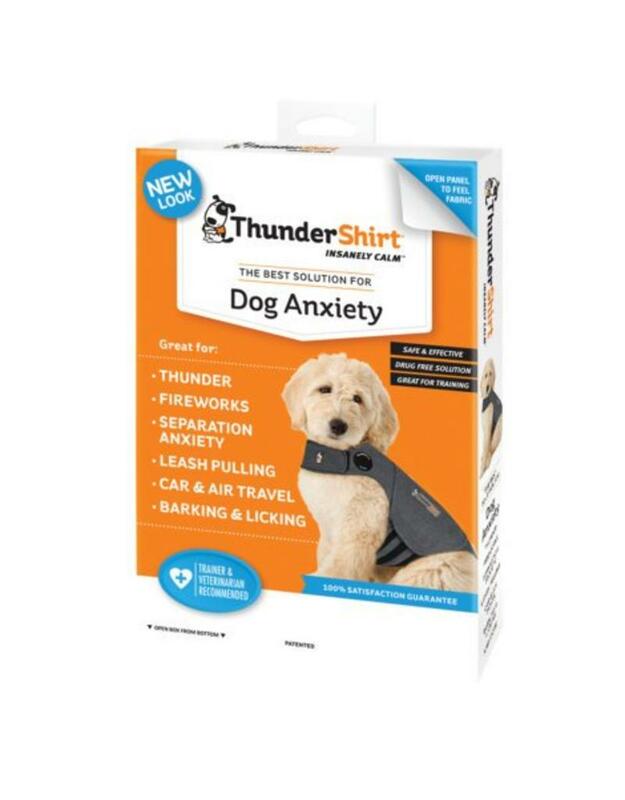 Thundershirt provides a gentle but tight feeling of pressure which creates a calming effect for anxious dogs. Proven effective in up to 80% of dogs! Keep your dog’s comfortable in situations that once made them fearful!